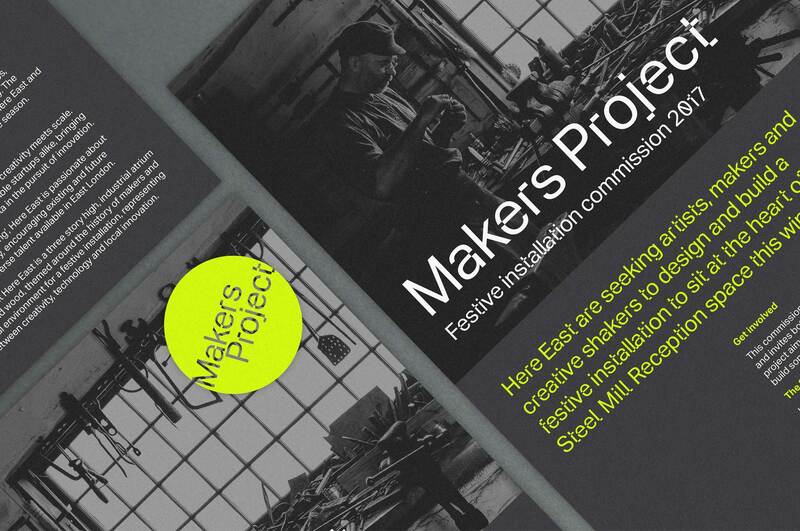 The Makers Project was founded by London’s Olympic tech hub, Here East, to promote local makers and their work. Work by local artists and artisans is promoted and exhibited throughout the Here East campus. WeDesign provided branding support for the project, helping to capture the imaginations of local artists. WeDesign developed a new logo that, whilst holding its own identity, was stylistically linked to the Here East brand. 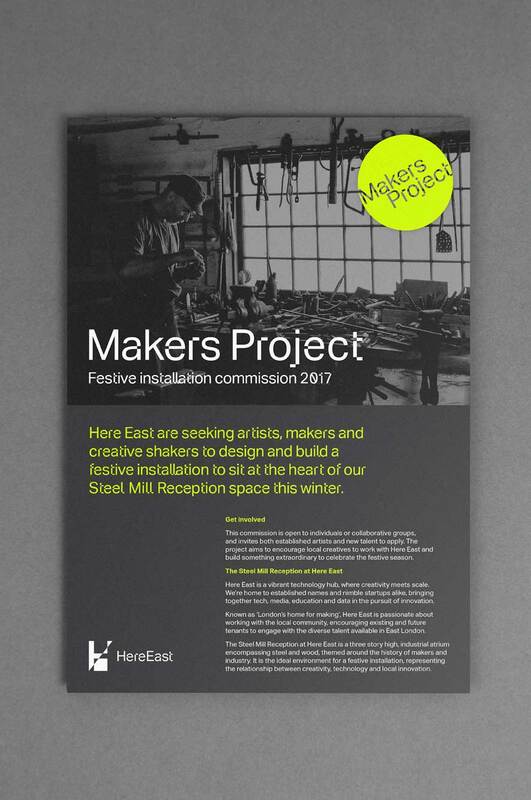 The Makers Project has been well received and they are about to commission their first piece of work from a local artist for the Steel Mill Reception at Here East.